I didn't run today. Something about my quads being on fire had a little something to do with it. I am going to go out for a recovery run of sorts tomorrow afternoon. Today was all about getting my beloved Tommie Copper tights on to ease the pain in my legs! 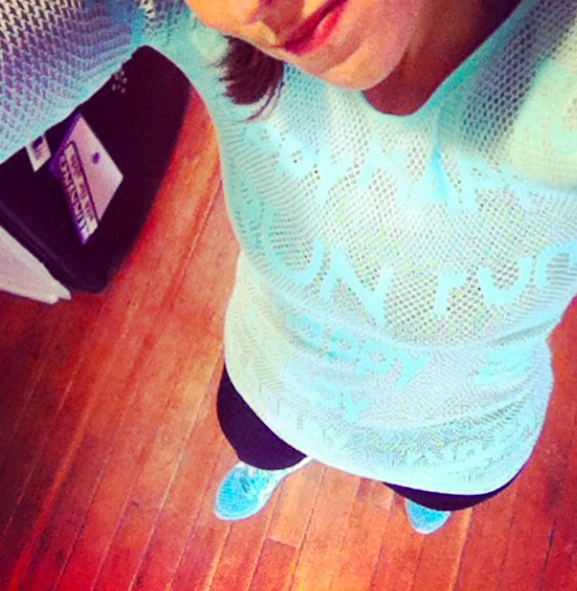 New Brooks top, with Tommie Copper tights, and matching Karhu Flow3. They are hurting from those trails. It's a good hurt though. And it just makes me want to run trails again and more often. 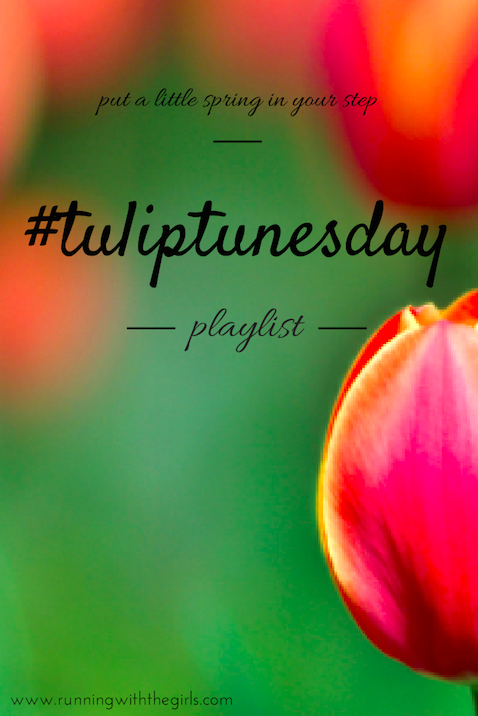 Since today is #tuliptunesday, I'm sharing some new additions to my playlist. I've added a couple of new songs to my playlist, courtesy of the prom committee. Gotta love high schoolers.. I'm really loving the prom playlist. Well, most of it. What new songs have you added to your playlist? Share! I want to add the new Neon Trees song. In fact this post is reminding me to download it right now.